It’s a seller’s market for software developers today, with average salaries around $96,000 and top earners approaching $150,000 per year, according to the U.S. Labor Department. Demand for programmers and software engineers will grow by 22 percent over the next seven years, according to research conducted by IT staffing firm, Modis. Even so, the fact that developers are a hot commodity doesn’t mean companies shouldn’t be doing their best due diligence when seeking new technical talent. To assess a candidate’s skills and fit, companies are using a variety of tactics, all in an effort to make sure that an individual can do what they say they can on the resume. Some of the most popular methods we have seen are listed below, though companies will often need to mix it up based on what role they are filling. Demonstrating proficiency is extremely important in the software industry, and this often involves testing candidates to ensure they can perform to the level described on their resume. Exams asking candidates to write code should be short – from a few hours to a day or so – and focused on general planning and creative skills rather than specific syntax around languages. These tests can be administered in the office or completed online. An advantage of the office test is that the company can observe how a candidate works in their own environment and if they are efficient with their time. Companies may choose to administer these tests before or after the in-person interview. For entry-level candidates, testing may not be appropriate or revealing if they don’t have prior job experience. For very senior candidates, testing might not be appropriate based on past accomplishments. Internships also remain a common practice to “try before buying,” especially with entry-level candidates such as college students. Plan to pay your intern adequately, unless he or she is conducting the internship for college credit. Make sure to create roles where the intern can show their achievements quickly, rather than strictly shadowing full time employees. Doing so will provide a better picture as to whether the candidate will be the kind of contributor you’re seeking. A new trend, popularized by realities shows like The Voice, screens candidates through brief blind coding or survey sessions where their identities are not revealed. Sites like GapJumper can facilitate the process for the hiring company. This may help eliminate discrimination around education, gender, race, physical appearance and other factors that could potentially weed out too early in the process a job seeker with high potential and limit diversity in the organization. It’s critical to make sure that you can authenticate the tester and prevent them from copying answers from online resources or otherwise cheating. Consider blind auditions as a gateway to prove that an individual is capable of meeting the basic job requirements, not as a comprehensive technical evaluation. Blind auditions are particularly valuable today since development teams are often built up through referrals, which means that a company can end up with an army of friends instead of a diverse workforce. These day-long community coding events can help identify top candidates, even when they are not designed or promoted as a hiring vehicle. Such events can give hiring managers an understanding of an individual’s work processes and collaborative skills. They are particularly valuable for hiring niche skills such as security or database specialists, since you can design the challenge around specific applications or problems. Hackathons are also wonderful for acquiring global talent if conducted online. A company may also wish to schedule an “offline” event at the company site, allowing for insight into an individual’s soft skills. Take care to design the event around your specific hiring goals. For instance, if you are hiring people to work on a large team, create a team-based hackathon challenge. Beyond technical skills, developers must be able to work on cross-functional teams and occasionally interface with people outside of engineering including users and business managers. That’s why the traditional behavioral interview still has a firm place in the hiring process. Develop questions which deliver a 360-degree analysis of the individual’s work style, social and interpersonal communications skills, ambitions and weaknesses. Be sure to ask the candidate to describe a project which failed; if they do so honestly and with some detail, it will show that the individual can admit mistakes and is open to learning. Such interviews may be most effective when incorporating unconventional questions where candidates must solve problems or riddles on the spot, a tactic which has been popularized by large companies over the years including Microsoft, Google and Facebook. Some of the craziest questions we’ve heard include: “How many piano tuners are there in the entire world?” and “How much should you charge to wash all the windows in Seattle?” These questions don’t typically have a correct answer, but will show how an individual works through a complex problem under pressure. IT talent agents. Yes Hollywood, developers have agents too. If you’re looking for an individual with a unique skill set or background, or who will be stepping into a highly visible or senior role, a high-tech talent agent such as 10x Management or TBD may be a quicker and more effective path to discovering that very special person. Check the forums: Combing online forums where progressive developers hang out, such as GitHub, can also help find talented candidates. Groups on LinkedIn and Twitter are also a smart way to connect with the kind of collaborative team member you want. Events and meetups: Attend development conferences or tech meet-ups in the cities where you are hiring. Of course, developers come to these events to learn and network with peers, so recruiters should come educated about the group and be gentle in their approach. College campuses: Universities today have groups for all interests, including coders and hackers. Reach out to the top schools for computer science degrees in your region and ask how you can deliver a presentation to the relevant groups. Once those kids graduate, they’ll remember your company when it’s time to find a job. Coding bootcamps, immersive month-long (or longer) courses around the country are designed for people entering the field and are ideal for finding entry-level developers. Switchup created a ranking of bootcamps here. Lastly, remember that while you are busy vetting the talent, they are certainly vetting you and your company. 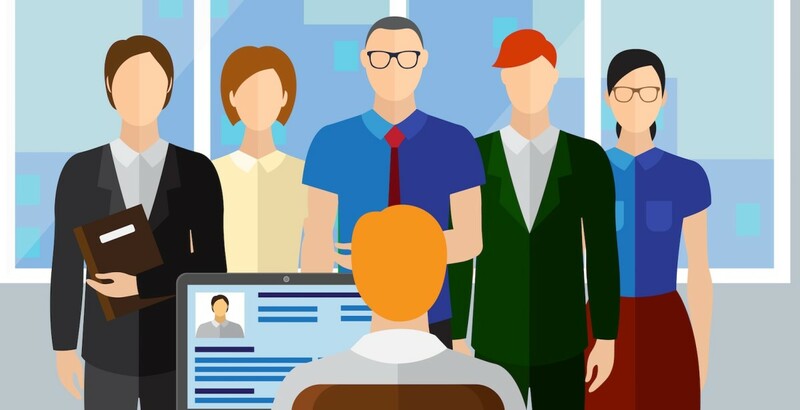 When candidates come into your organization to take a test or interview, ensure that you and your team are putting your best face forward and mirroring the traits that you wish to convey about the company’s culture and achievements.